Designed in 1972 as a tourism icon, the Merlion is a famous international symbol of Singapore. But little is known about its origin, symbolism and use. A visit to the Sentosa Merlion will make one an expert in this famous icon. 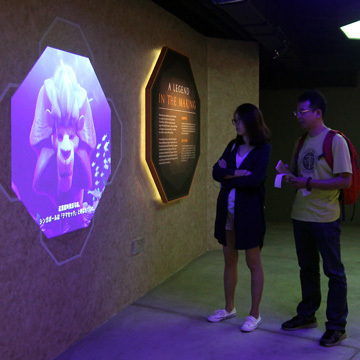 In this revamp, highly interactive exhibits are well received by the visitors and help attract more visitors to the gallery. The new exhibits enhance the Sentosa Merlion’s stature as the guardian of prosperity of Singapore. This auspicious luck is shared with visitors, while they engage in fun activities. 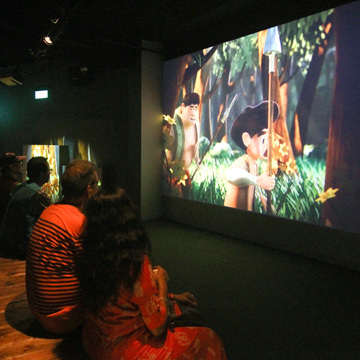 Visitors sit on the deck of Sang Nila’s ship to follow him through his discovery of Singapura. Panoramic scenes surrounding the stage change with the story as the props are projection mapped on. Emerging from the intro-theatre, our digital Merlion mascot presents interesting stories and information throughout the visitors’ journey in the gallery. 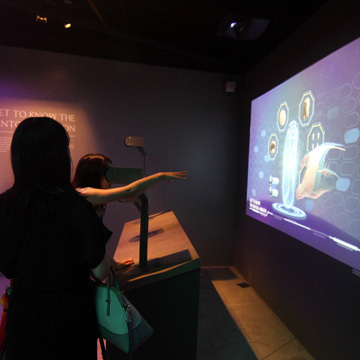 Visitors look through a VR headset to piece together a puzzle that forms the Sentosa Merlion. As different parts of the Merlion are held, they learn about the significance and symbolism that goes with each part. Children and the young at heart would enjoy this AR painting installation. Colourful 3D Merlions painted by the visitors will surprise you with cute antics. 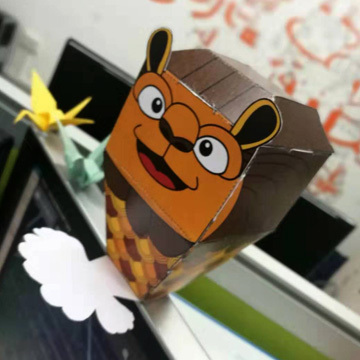 In addition, the visitor receives a souvenir in the form of a Merlion Origami in the colour that he painted in!